Ticket King Milwaukee Wisconsin: Milwaukee Ticket King is a Big Fan of Trey Anastasio! Milwaukee Ticket King is a Big Fan of Trey Anastasio! If the name Trey Anastasio doesn't ring a bell to you right away, I'm sure the band named Phish will! Trey Anastasio is a guitarist and vocalist who is most noted for his time with the group Phish. Specifically he is known for composing 152 of the original Phish songs. 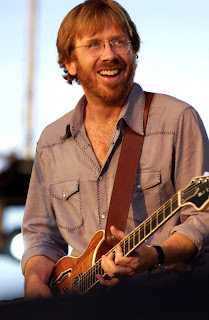 After the break up of Phish, Anastasio continued to tour solo on and off through the years. After two years, Anastasio created his new album titled "Time Turns Elastic" in may of 2009 that he will be promoting in his upcoming tour. Ticket King Milwaukee was excited to hear he is making a stop in Milwaukee at the Pabst Theater February 18th at 8pm! Should be a great concert in a wonderful and intimate venue!